MSC Cruises has opened booking for an epic 119-day world cruise which sails to 53 destinations across 33 countries. 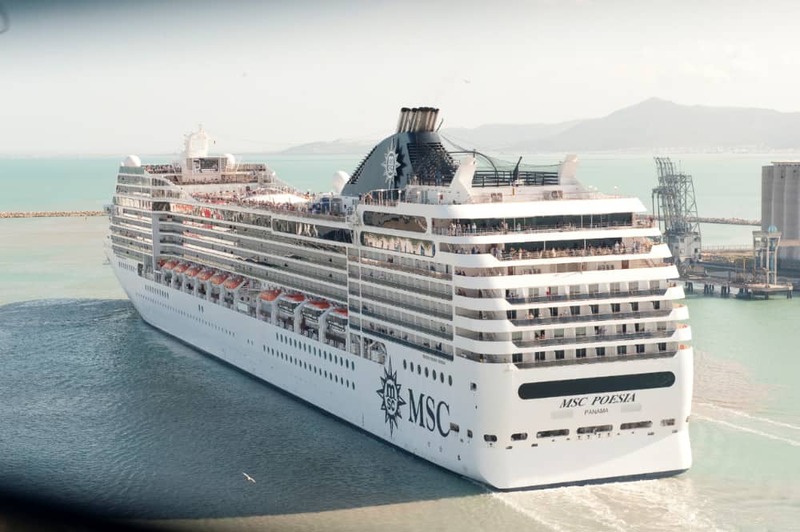 The voyage will be on the MSC Poesia cruise ship and departing in early 2021. MSC Poesia is offering a cruise of a lifetime and bookings for the 119-day world cruise are opening today. This will be the third world cruise offered by the cruise line with the first in 2019 and the second in 2020. The third world voyage will depart on January 5, 2021, and will offer more of an insight into Asia, unlike the previous cruises. Bookings are only open for MSC Voyager Club Members with exclusivity for one month. Everyone else will have to wait until January 10, 2019, to book that dream cruise around the world. The 119-day voyage sails roundtrip from Genoa and Civitavecchia in Italy, Marseille in France and Barcelona in Spain and takes guests across the globe in one single voyage of discovery. Heading west, the first leg crosses the Atlantic to the islands of the Caribbean and through the Panama Canal, sails the west coast of the continent (Costa Rica, Nicaragua, Guatemala and Mexico) to San Francisco. The second leg visits scenic Maui and then volcanic Hawaii, Samoa and Fiji. Then the ship will call at Auckland in New Zealand, Sydney, the Australian Golden Coast together, Cairns and the incredible Great Barrier Reef, Papua New Guinea and the Philippines. MSC Poesia then arrives in Japan during its spectacular cherry blossom season. After visiting Kyoto, Tokyo, and Shanghai in China, the third leg cruises to Hong Kong, Vietnam, Singapore and Malaysia, allowing guests to fully discover this area of the Asian Continent. Finally, crossing the Indian Ocean to Sri Lanka and Dubai guests can explore Oman and Jordan (Petra) and travel through the Suez Canal, back to the Mediterranean. MSC Poesia is a fairly modern ship which was built in 2008. The vessel is 89,600 gross tons with a guest capacity of over 2,500 at double occupancy. The ship features a wide range of dining venues, an MSC Aurea Spa, plenty of sports facilities, 3 swimming pools, 4 whirlpools, and a giant poolside cinema screen.